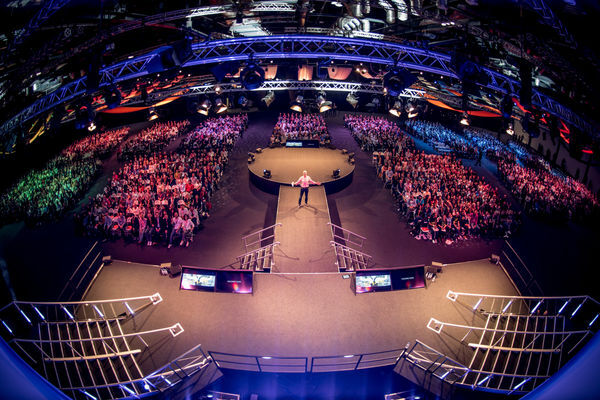 One of the UK’s leading independent AV rental companies, our extensive inventory of state-of-the-art presentation equipment includes LED and display, wide screen projection, media servers, cameras, vision control, sound, lighting and staging. Every event AV equipment package is designed to meet your specific needs, and is meticulously prepared by an in-house team of dedicated engineers. Our close working relationships with many of the world's leading equipment manufacturers helps keep us at the sharp end of presentation technology and audio visual techniques. Follow the links below for more information on individual technical disciplines, and to download a copy of our most up to date price list. Our knowledgeable Project Managers approach every enquiry personally, ensuring you’re in safe hands from the moment you get in touch. Established in 2000, and built on decades of valuable experience, our perfectly balanced team is made up of top-notch industry professionals, with the knowledge and expertise required to deliver your project on time, on budget - and to the highest standard. As a long established AV hire company we take pride in what we do, because we do it well. With our tried-and-tested process, every project runs like clockwork – from start to finish. Your project is reviewed by the team before matching your requirements to the relevant experience of one of our 13 full-time Project Managers. From day one, your PM is your pivotal point of contact throughout the planning and production of your event, providing as much support as you require. We’ll listen carefully to you. As one of the leading AV companies we know it’s important to fully understand your aims, the setting you’re looking to create and the atmosphere you want to be experienced. Once we’ve got a handle on your vision, we can start planning. We’ll conduct a detailed site visit, draw up comprehensive floor and set plans, produce H&S documentation in line with CDM guidelines, and build the perfect technical specification to match your needs. Our in-house Digital Studio team, can produce a plethora of creative assets to make your event look the business. 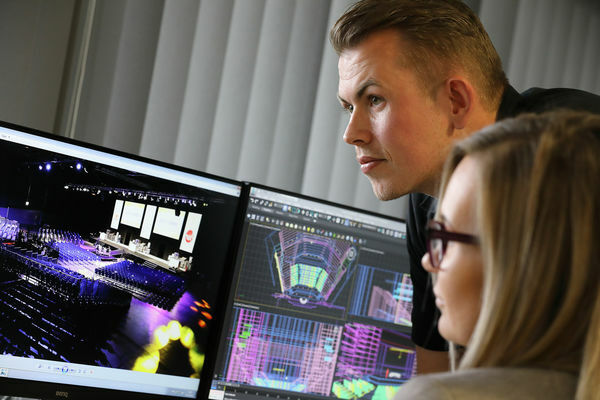 Whether you require set designs, 3D visual renders, lighting design, presentation graphics, video content or artwork for print, we’ve got the know-how (and the pricey software) to help you out. Top top it all off, we work with the latest VR software so we can put you in the virtual venue space ahead of the event. Prior to your event, your technical show team spend a day with us at PSP where we give them a full brief of your expectations. Then the kit is meticulously tested, preparing it to its show state, packed, carefully labelled and loaded into those heavy black flight cases to be transported to your event venue. Live events by nature are transient. A great deal of time and effort goes into creating a spectacle which lasts as little as an hour or two. But our focus is always on making sure it all feels worth it and the delivery is seamless. Even after the de-rig is complete, your PM will continue to support you in your post event requirements; reconciling the budget, providing any post event assets and tying up any loose ends.